Dorothy thinks she’s lost forever when a tornado carries her and her dog, Toto, into a magical world. To get home, she must find the wonderful Wizard in the Emerald City of Oz. On the way, she meets Scarecrow, Tin Man and Cowardly Lion. But the Wicked Witch of the West has her own plans for the new arrival. 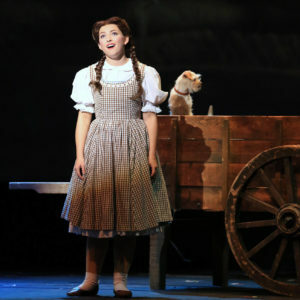 Will Dorothy ever see Kansas again? 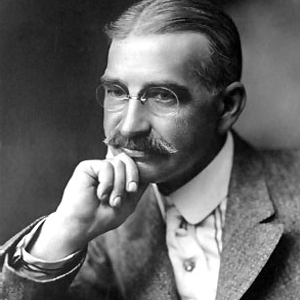 Many believe that much of the inspiration for “The Wizard of Oz” came from the real life experiences of its author, L. Frank Baum. For example, during his childhood in upstate New York, the road to Frank’s school was really laid with yellow brick, and Baum’s description of Kansas is based on his own experiences living in drought-ridden South Dakota. Some of the key characters came from more personal sources. The character of Dorothy got her name from Frank’s niece, who passed away at age five. Similarly, it’s said that Glinda the Good Witch was based on Frank’s mother-in-law, who was a figure of support and encouragement to the Baum family. Many believe that the city of Chicago was the inspiration for the Emerald City. In 1891, Baum and his family moved to Chicago after living in South Dakota. Chicago was also the location of the 1893 World’s Columbian Exposition, the largest World’s Fair ever held in America. It has been said that Frank saw Thomas Edison, the “Wizard of Menlo Park,” at the Exposition, and his impression of the inventor stayed with him for many years. Dorothy’s ruby red slippers weren’t originally red at all! In L. Frank Baum’s novel “The Wonderful Wizard of Oz,” Dorothy’s shoes were silver. However, because of the colorful nature of the 1939 movie and the fact that the shoes would spend so much time on screen on the yellow brick road, the filmmakers decided to change the color to ruby red. What do you think was the most valuable lesson that Dorothy learned? Do you think Oz seems like a good place to live? In what ways is Oz like the real world? If you had to choose just one—a brain, a heart, or courage—which would it be? Explain your answer.